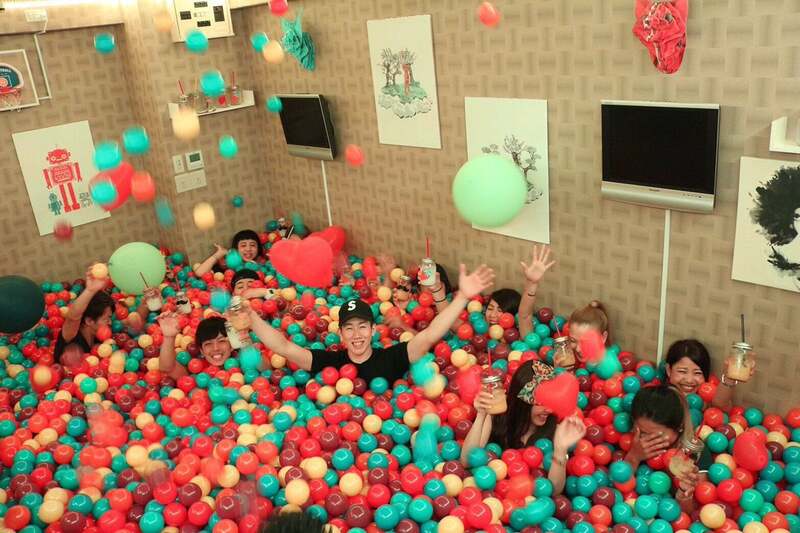 Earlier this year, a pop-up ball pit bar opened in San Francisco for two days. This new ball pit bar in Osaka, however, isn't a pop-up experience, but opened this winter full-time for business. Dive doesn't have any tables or chairs, just a giant pit filled with over 20,000 colourful orbs for patrons to plunge into. There are all-you-can-drink rates for 60 to 90 minutes depending on the day, and the booze is served with lids so people don't spill them in the ball pit. Man, I hope people don't get sick in the ball pit. For information how to get to Ball Pool Bar Dive, check out its Tabelog page. You'd be stuffed if you dropped your keys, but completely fine if you dropped your guts. That ball pit would smell like...well...like balls.